I am getting some really interesting post at the moment as I am having an eBay frenzy, although my most unusual package this week was a set of dental tools, thankyou Lesley. But this morning this plopped through the letter box. Now being a women of a certain age who spends a great deal of time browsing Amazon in the early hours, I had to admit that this magazine had me stumped. Until I flicked through the pages and found this. 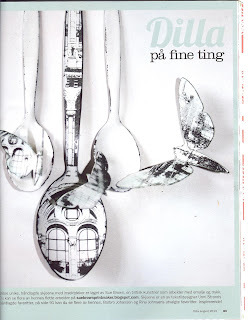 At the beginning of the year, it may have even been last year, I had an email asking if this publication could feature the spoons seen on my blog...and here it is, whoooooo I can hear you all say. Thankyou Dilla, what a boost to my confidence. 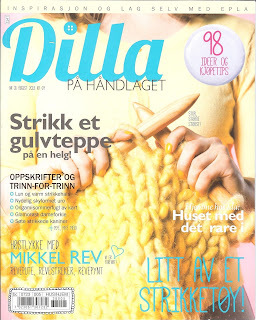 My biggest regret is that I can't read the Norwegian as there are a couple of knitting patterns I fancy trying. I have been a huge fan of your beautiful and magical art for several years now. You are a great inspiration to me, thank you so much for sharing your amazing work!! Since I am also norwegian I want to translate the text for you. These unique, handmade spoon with insect decoration are made by Sue Brown, a british artist that works with enemal and print. You can see more of her beautiful work at suebrownprintmaker.blogspot.com. 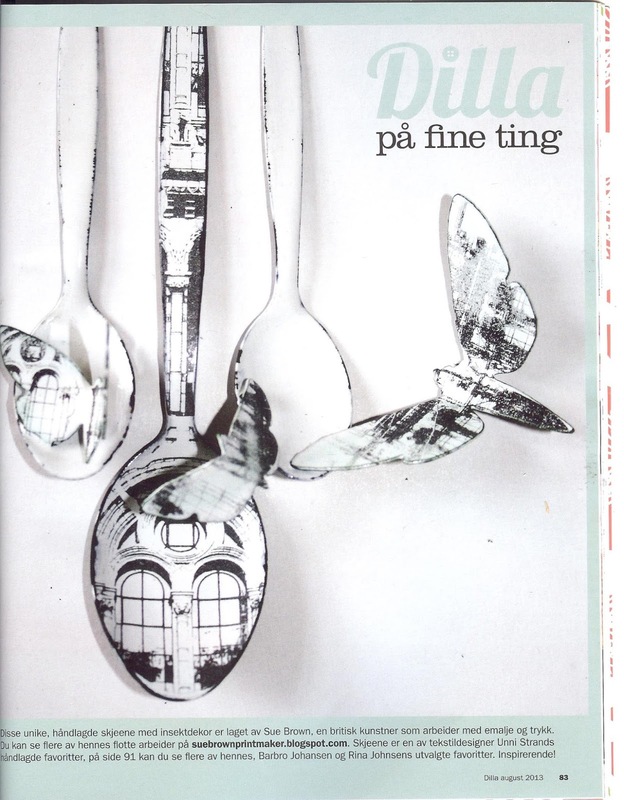 The spoons are one of textile designer Unni Strand`s favorites, on page 91 you can see more of hers, Barbro Johansen and Rina Johnsens chosen favorites. Inspiring. Congratulations on having your beautiful spoons shown here. Your spoons are so unique and beautiful - I love all of your creations.